By following basic principles for business ethics we have clear guidelines for how our employees, customers and other parties should be treated in a legally correct, fair and ethically acceptable way. We offer equal opportunities for employment, regardless of race, religion, gender, age, disability, family circumstances or sexual orientation. We work proactively to combat all forms of discrimination at the workplace or in the treatment of employees in terms of wage formation and career development. We endeavor to introduce appropriate processes to identify and deal with all cases of discrimination. We have zero tolerance with regard to all forms of physical or verbal harassment at the workplace and will take measures against any such occurrence. We provide a positive workplace and actively promote the health, job satisfaction and personal development of our employees. With regard to the design of the workplace, equipment, conduct, job descriptions, personal development and all other aspects of the work environment, this means that we take action to ensure that our employees have a work environment and working conditions that prevent physical and physical ill-health and that promote satisfaction and development. We shall actively contribute to sustainable development by taking the environment into account in all aspects of our business and by making lean use of resources. Our business shall comply with the applicable environmental laws and regulations. In our contacts with our customers and partners we intend to actively highlight the environmental benefit provided by our products and services. We welcome all forms of initiative from our employees, customers and partners that will help us to achieve this goal. We shall comply with and respect all applicable national laws and regulations, as well as inter-national conventions and treaties relating to the protection of immaterial rights, such as patents, brand names, designs and copyright. This means that we shall always respect the immaterial rights of others and thus produce and deliver our products and/or services without unauthorised exploitation or violation of the protected rights or business secrets of other parties. We do not tolerate the use of child labour or that labour is carried out through force or the threat of force. Children must not be financially exploited or be allowed to perform work that can be dangerous, which prevents them from attending school or which may jeopardize their health or physical, psychological, spiritual, moral or social rights. We shall contribute to a society in which there is a high level of confidence in companies, the market economy and the rule of law. We shall endeavor to promote a high level of ethics in commercial relations and shall, therefore, take active measures to combat any form of bribery and corruption that can affect our business relations. All forms of bribery and corruption are banned in our business. Team Rynkeby is a Nordic charity cycling team. Every summer we cycle to Paris to raise money for seriously ill Children. 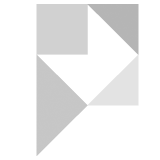 Percepium is a team- and goldsponsor to this admirable project and cause. If you are a non-profit aid organization, we at Percepium have committed ourselves to provide our LMS product at no license costs. That means you will be able to deliver educational programs to your organization across the globe and utilizing the latest technology achievements within education. Sweden is one of the most generous countries in Europe offering protection and asylum for refugees from different conflict areas around the world. At Percepium we try to make our contribution to the local society, facilitating the integration process for newly arrived children and helping them start their new lives in Sweden. We organize fundraising to buy clothes or other necessary products and we provide technical equipment like computers and tablets for participation in online education in the school and at home. The Hope House serves as a beacon of hope and compassion in the community. It operates as a three-fold ministry simultaneously: an orphanage, a community church, and a soup kitchen. The orphanage houses approximately 40 orphaned children full-time. The soup kitchen feeds between 300 to 350 other orphans and vulnerable children in the community (one meal per day, five days per week). Percepium is proud sponsor to Fortuna Football Club. 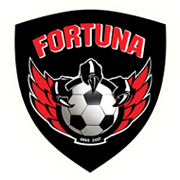 Fortuna is a football club with the goal and ambition to have equal representation of boys and girls from youth to oldboys. Fortuna was founded in 2007 by a merger between Listorps IF and Rydebäcks IF. The club today have around 600 active members with primary focus on youths and broad participation. Fortuna FF‘s goal is to help everyone grow and be seen according to their motto; Safety, Development, Joy and Fellowship.